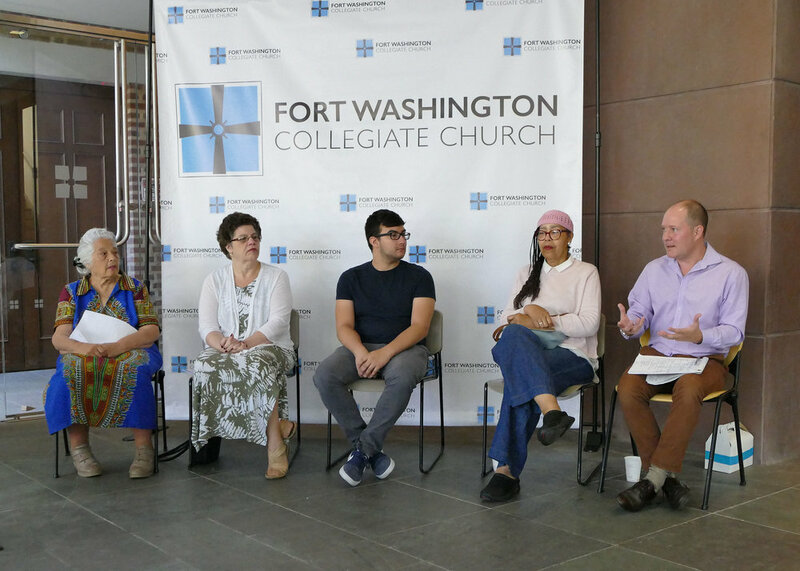 FWCC members, friend and our sister churches participated in Faith, Public & Private: A Spiritual and Social Justice Retreat on Friday and Saturday. We opened up with a time of food and fellowship and watched the movie, A Question of Faith, a movie about three families struck by tragedy, and how destiny forces them on a converging path to discover God's love, grace and mercy as the challenges of their fate could also resurrect their beliefs. Saturday morning began with tai-chi and breakfast. Then Minister Bridget Kelso Anthony led us in a spirit filled devotional before beginning the series of workshops. Retreat participants attended workshops and activities delving into our faith and explored subjects on: "Raising Christian Children," with Mia McClain, "My Christian Identity," an activity led by Luisa Padilla-Korber, "Busy Parents in Christ," led by Rev. Kimberleigh Jordan, “Organizing Christian Leaders,” presented by Alfred Gill, and "Lawmaker Accountability,” presented by Johanna Garcia. Our keynote on Saturday, Reverend Vaughn led "How Do I Pray. God Talk 2.0”. There were no dry eyes in the room. Other activities included: a spirited afternoon devotional before lunch with Elder Beverly Shears. 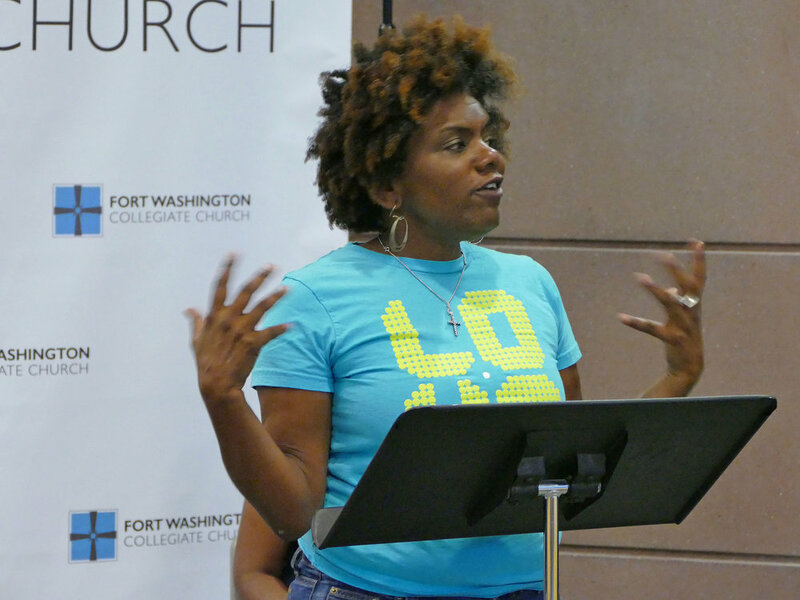 “Prayers from The People,” which used performance and poetry to share various ways we can use prayer in our daily lives. In addition, “Finding God in the Garden,” gave people an opportunity to explore God’s presence in nature. Participants engaged in visual prayer, song and art in the Garden, led by Alexis Agliano Sanborn, Mark Williams and Dinean Davis. The retreat included live performances, art, music, a “Labyrinth Walk” and one-on-one private time with Reverend Whittaker. As always, we provided Childcare where families were able to have a time of spiritual growth and fellowship together. Rev. Whittaker led a spirited discussion at dinner where participants shared warm feelings about FWCC. We closed out with Music for Our Souls with Porfirio Figueroa who presented a cellist playing Bach concerto before being led through the garden where Rev. Whittaker blessed every attendee with a hand washing as we exited the garden. We prayed, laughed, cried, sang, worshipped and broke bread together. This event not only enriched our spiritual growth, but brought us closer together as a family, the FWCC family.